Hashtags are important. Period. There’s no argument there. But, why are they important? Why’s everyone in the social media marketing world going nuts over them? 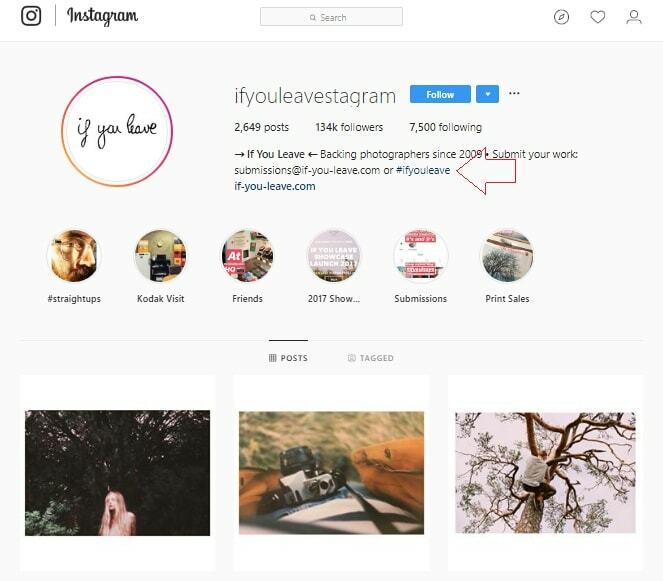 Hashtags play a very important role in turning a 100-followers profile to a 100,000+ followers profile; after all, almost 70% of Instagram posts go unseen. It’s the difference between wasting your time on Instagram trying to get a bit of engagement and reach, to getting instafamous and rolling in green dollar bills. Just adding one hashtag to your post can increase your engagement by 12.6% more. So you can’t just slap a few hashtags (compiled from here and there) to your post as an afterthought. You need to research, compile, and then test hashtags repeatedly for stellar results. If you’re not seeing a whole lotta difference in your hashtagged vs non-hashtagged posts, then your entire IG hashtag strategy is flawed. And you need to change that STAT. 1. Don’t copy paste the same hashtags in each post! Are you tempted to use the same hashtags for every post you upload? Don’t. That’s a bad tactic. 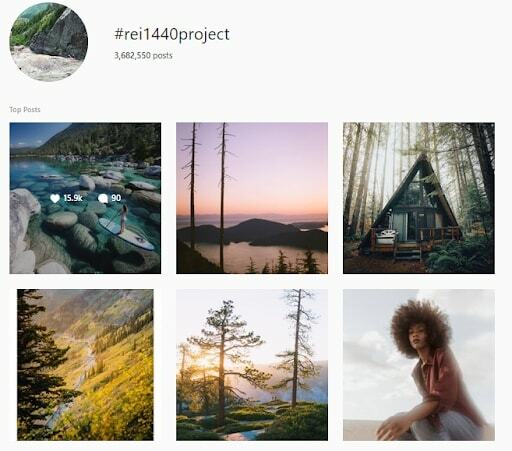 Switch up your hashtags for every post you upload to reach out to a new audience everytime (which equals more followers), test new hashtag combinations, and to stay on top of the constantly-changing nature of hashtags. A certain hashtag may see a surge in engagement today and fail to produce significant results tomorrow. This is the life of a hashtag, especially brand-centric ones. An easy way to do this is to research and create a list of 100 or so popular hashtags with maximum reach in your niche, and then each time you want to upload a new post choose 30 relevant hashtags from the list. You can also create sets of hashtags to use on certain types of posts. Just keep picking and choosing hashtags from that list and you’re good to go. 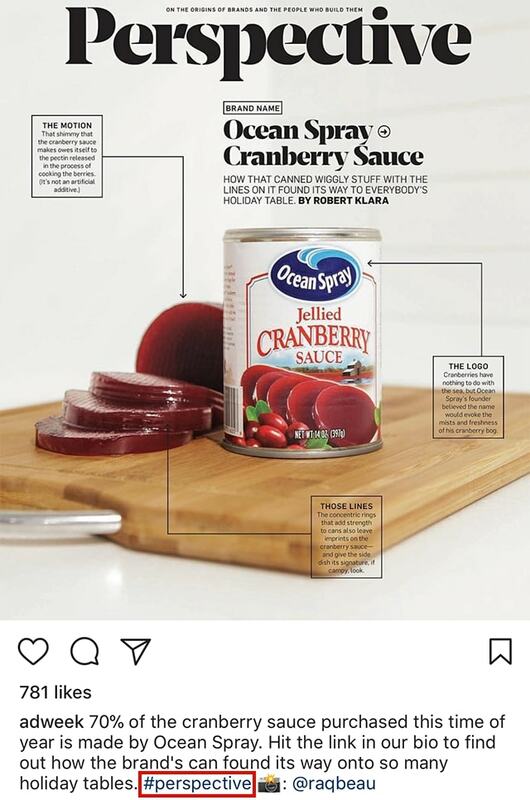 Why are brands still adding #likeforlike, #follow4follow, #love, and #goodday to their Instagram posts? WHY??! These gimmicky, generic hashtags do nothing to increase reach or boost engagement in long-term. If you’re lucky, you might get hit with a ton of spam comments. 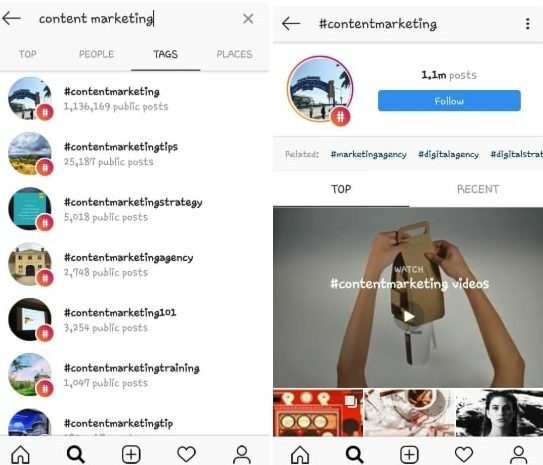 Your post will not only get lost amidst a million other posts being uploaded every minute with these hashtags, but you’ve also lost precious hashtag space which could’ve been used wisely with a better hashtag. Additionally, it leaves a bad impression on your audience and makes your post seem spammy. 3. How many hashtags to add? The maximum number (up to 30) of super-relevant hashtags you can find. If you think Instagram may penalize you (hint. shadowban your account) for adding 30 hashtags, that’s not true. Instagram’s head of product recently mentioned that shadowbanning is not real and Instagram doesn’t penalize anyone for using 30 hashtags. The rule is simple; use as many relevant hashtags as you can find. The more the better, since every hashtag you add will get you more reach and more engagement. Instagram is all about creating a visually pleasing experience for your audience. Everything should look neat, pretty, and synchronized. A whole block of hashtags in the caption when viewers click ‘More’ is an instant turnoff. And if you think adding hashtags in your comments will affect your engagement in any way, that’s not true. Hashtags work the same way whether they’re added to the caption or in the comments section. A clean-looking caption. No distractions. Kickstarting engagement in the comments section. So add hashtags in the comments section – here’s how. It’s easy to create a neat caption by adding hashtags in the comments section. 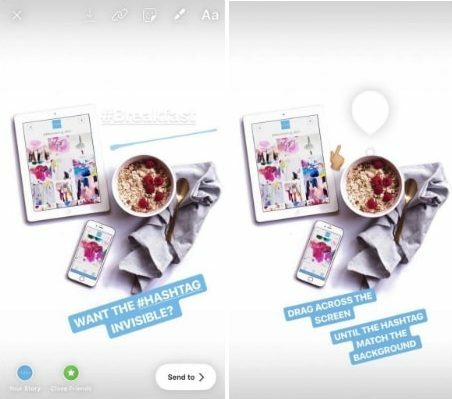 But, how do you create a clean Insta story (while still adding hashtags)? Camouflage them with the color same as the background or hide them with a sticker. Both work great. All these hashtags belong to different groups. And each hashtag group serves a different marketing purpose. So when creating a hashtag strategy and a list of optimum hashtags for your post, you need to know which hashtag groups you’re using and why. But before we discuss more of that, let’s first discuss what the heck hashtag competition is and why it’s important. 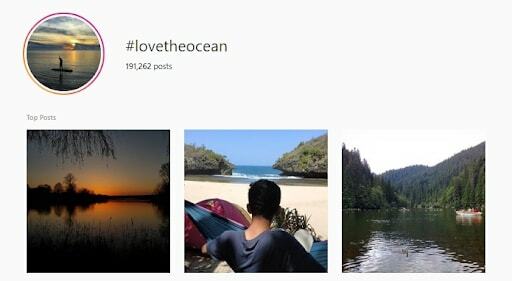 Hashtags with over 500,000 posts. Every second a new post is uploaded with a high-density hashtag, so your post will get buried under all the new ones in no time. While it’s hard to rank in the top 9 posts for high-density hashtags, you can get a couple of likes and followers by adding them to your post. 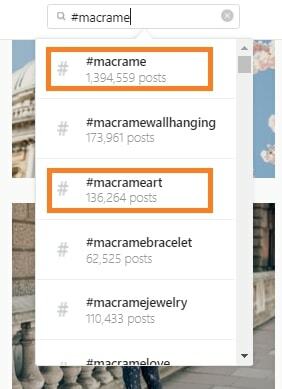 Several branded hashtags have high density, as well, but because they’re targeting a specific community and engagement is high, it’s okay to go for these hashtags. 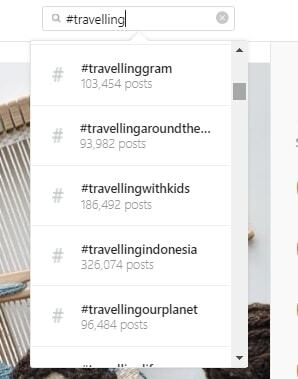 Hashtags with less than 500,000 posts. The lesser the better, as competition with other posts, is low and chances of your post ranking in top posts are high. So which density hashtags should you use? Both, actually. A few high-density hashtags mixed with a lot of low-density hashtags will help you rank higher and reach out to a bigger audience. Now, let’s jump right into hashtag groups. Hashtags revolving around small niche communities. They’re a bit more targeted than niche hashtags and competition isn’t as high either. Including a couple of community hashtags in your post will help you meet and connect with like-minded brands and entrepreneurs. In the digital age, brand hashtags are equivalent of the good ol’ brand slogans. No one chants brand slogans anymore; if they like a brand, they hashtag it. #warbyblue, #hudabeautyrosegoldpalette are brand hashtags. The bigger and more popular the brand, the higher in competition these hashtags will be. So if you’re starting out and need to increase your audience right away, using branded hashtags in your niche is a good strategy. It also increases your chances of getting featured by that brand, and well let’s face it, who doesn’t want that. However, don’t use them if you’ve built a loyal audience, have a massive amount of following and are trying to brand your Instagram profile. Hashtags, where you’re describing your target audience, are audience descriptive hashtags. 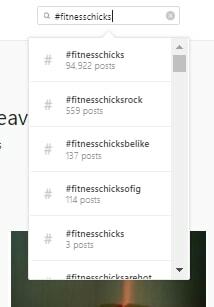 So let’s assume you’re a fitness instructor or a fitness gear brand; you’ll use hashtags like #fitnesschicks to connect with your audience. 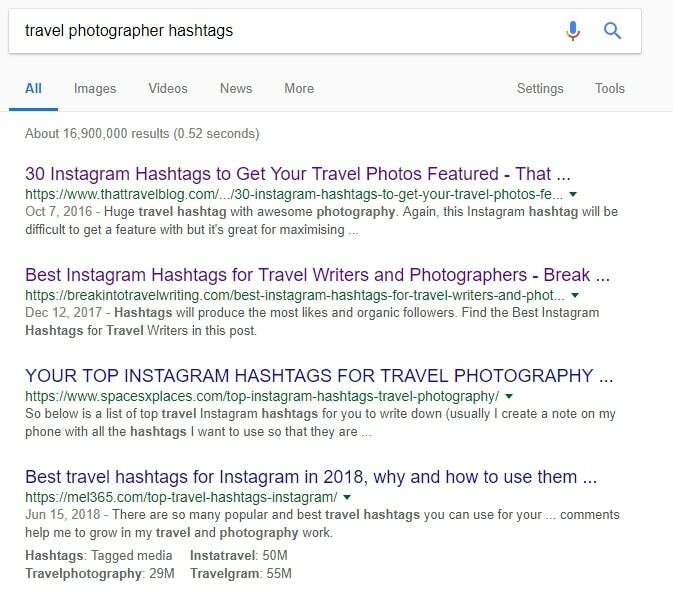 It’s always a good idea to add 5 to 8 audience descriptive hashtags in your post to reach to a wider audience base, no matter what Instagram stage you’re on. 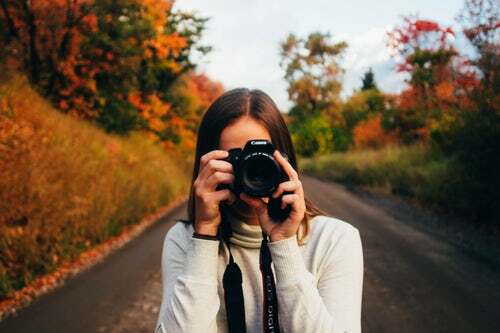 Let assume you’re a travel photographer. Using hashtags that describe your profession, your camera, lens, tripods or any other equipment you use are product descriptive hashtags. You can also use branded hashtags of the companies you’re using, like Nikon’s branded hashtags or Cannon’s. These kinds of hashtags work great for product-based businesses. These are broader, less targeted hashtags than community and brand hashtags. If you’re a fiber artist, hashtags like #weaverfever or #macrameart are niche hashtags. High density and catering to a massive user base. While it’s alright to sprinkle a few of these in your post, adding too many and just focusing on them (because they’re the easiest to find and use) is a big mistake. 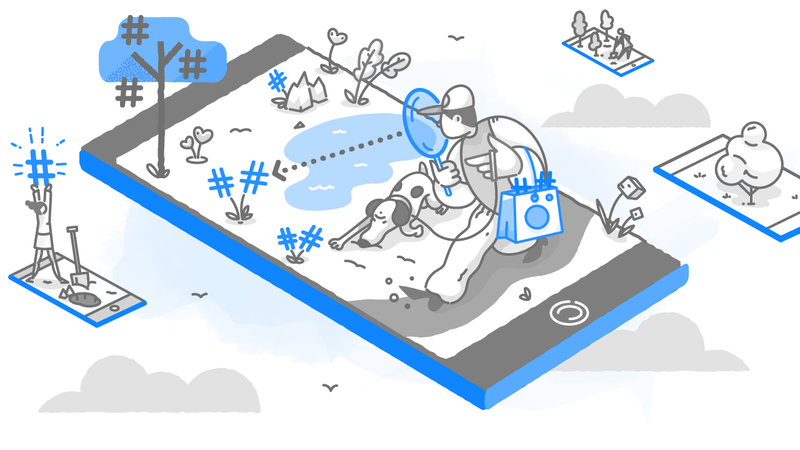 Location hashtags are super-targeted and work amazingly if you’re a local service provider or a local product-based business. Adding your location to pretty much any type of hashtag will turn it into a location hashtag. You can go wide by targeting your country or state or get specific by targeting your city or area. Depends on who your target audience is. 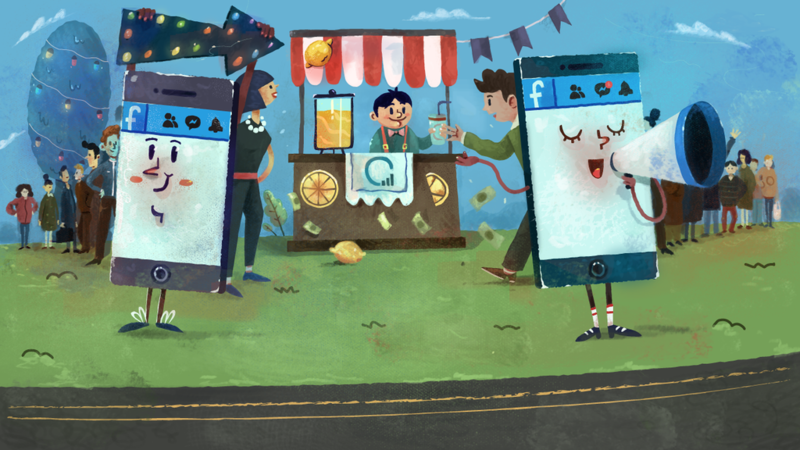 It’s a great way to get potential customers and generate business via Instagram. Culture jacking or event jacking is a popular way of getting followers quick. These followers may not last, but if you’re looking to up your follower count ASAP, use these hashtags frequently and upload posts as much as you can during those events. A smart way to use these hashtags is to find an event (local or otherwise), create a post around it (make a product that celebrates that event, offer a promotion, or create a congratulatory post), and then use the hashtag. Make sure the hashtag isn’t of super-high-density, otherwise it’ll just get lost amidst a million others. There are several curator accounts on Instagram that curate different niche posts and feature them on their profile. Using their brand hashtags is a great way to get featured on their account and meet like-minded individuals. 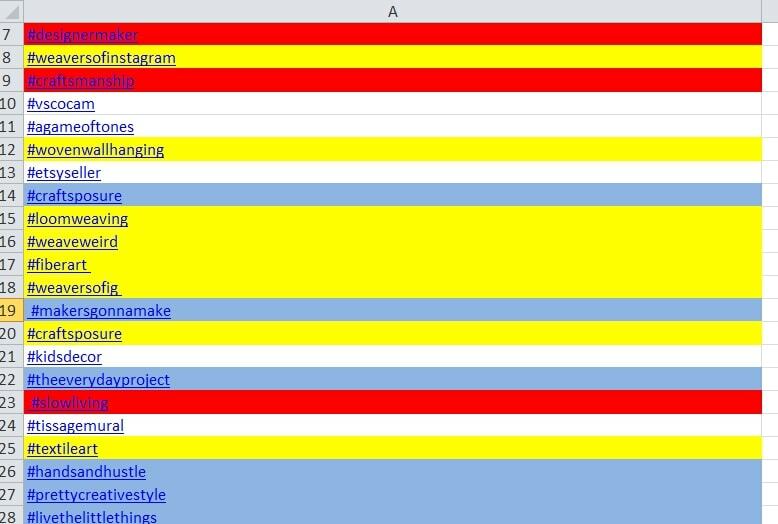 Now we’re onto the best part – researching the right hashtags for your Instagram posts. A lot of people use tools and apps to speed up this process, and we’ve got a whole post dedicated to our favorite hashtags tools. But tools will not get you 100% best results – they will just give you a starting point for hashtag research. You still need to perform your own research manually to find the most effective hashtags that are laser-targeted and will get your post maximum reach. Here’s how you do that, with or without the aid of hashtag tools. Instagram posts with hashtags receive a whopping 70% more engagement than posts without hashtags. 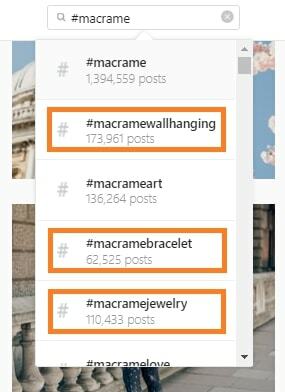 So they’re more popular and more visible on Instagram than non-hashtagged posts. All you need to do is find the most popular posts in your niche, steal their hashtags, and make a list of optimum hashtags that you can use for your posts. Tip: You can also scrutinize these posts and dissect them to see what makes them so popular and then emulate those components in your own posts. But that’s another post for another day. So, how to find popular posts? Instagram now allows you to follow hashtags. Once you follow a hashtag, you’ll see all the trending posts in that hashtag on your IG feed and in Stories. 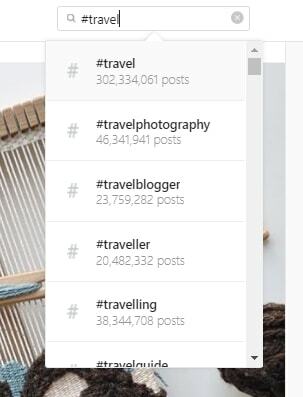 So when you follow a popular hashtag in your niche, top posts that have used that hashtag will appear in your feed and you can easily make a list of all the other hashtags they’ve used. There are two simple ways you can follow trending hashtags. Click on a niche hashtag that an influencer has used on their post, and follow it. Tactic 2 – Go to Tags and search for your niche keyword. Now when you follow this hashtag, you’ll see a list of related hashtags that you can follow, as well. Follow at least 8 to 10 relevant hashtags and you’ll see all the popular posts with that hashtag. If you’re targeting a local audience, add your location (country, city, state, or area) to your niche keyword, and follow the trending hashtag that comes up. Make a list of all the hashtags popular posts are using. You can also keep a track of all the hashtag your following and remove/add more hashtags as you perform more hashtag research. Strategy 2 – Dive deep into Explore Page. This is an old-school way of finding popular hashtags in your niche. Search for keywords in your niche, click on hashtags. Click on each of its top 9 posts. A lot of popular niche influencers have blogs where they post their IG strategies. You’ll even find several posts containing popular hashtags so and so should use. Now add all the hashtags you’ve found in an excel sheet. Not all hashtags you’ve found can be used. You need to filter this list and eliminate all hashtags that are useless for your brand and organize the ones that are left in groups. Firstly, remove all generic hashtags that are not from your industry. So hashtags like #likeforlike, #beautifulday, #sunset and so on. Delete them. Remove hashtags that appear more than once. Next, remove location hashtags if they’re not from your part of the world and not where your target audience resides. If you’re targeting an international (and remote) audience, then let it be. Also, remove any other hashtag that you think is completely irrelevant to your brand by searching on Instagram and looking at the posts that come up. If a lot of spam is showing up, eliminate these hashtags, as well. When researching the remaining hashtags, ask yourself the following questions. Is it a super-high density hashtag? Any hashtag with over a million posts is an extremely high-density hashtag that won’t help you much. However, don’t delete these hashtags, just color them red so you know these hashtags are of high density. You can use these hashtags sporadically or when you’ve built a huge following. Is it of super-low density? Any hashtag with less than a 100 posts is not worth using. Unless it’s a brand hashtag that you think you’re audience might follow. So color them blue. You can use them if they see a surge in posts sometime later. What group hashtag is it? 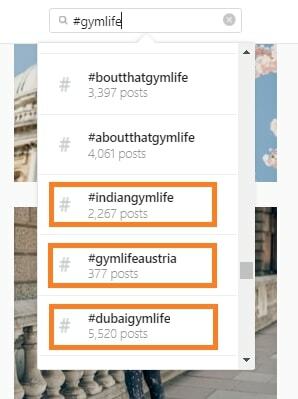 Colour all brand hashtags one color, all location hashtags another color, and so on. The more hashtags in this list the better. Make a list of 30 hashtags with a few from all groups, and use them in your post. Make a list of 30 different hashtags and use them in another post. Test your hashtag combinations to see which ones yield the best results. You’ll find brand hashtags, curator hashtags, location-based hashtags, and pretty much all hashtags through this strategy. Time to time, keep repeating this exercise and updating your hashtag list so that you don’t miss out on any super-active, brand-spanking-new hashtags. A summary of this post. Make this your IG hashtag strategy mantra and with every hashtagged post you’ll get a surge in new target followers, more engagement, and build a loyal tribe. Are you using any of these research tips to find your ideal hashtags? Let us know in the comments section below.